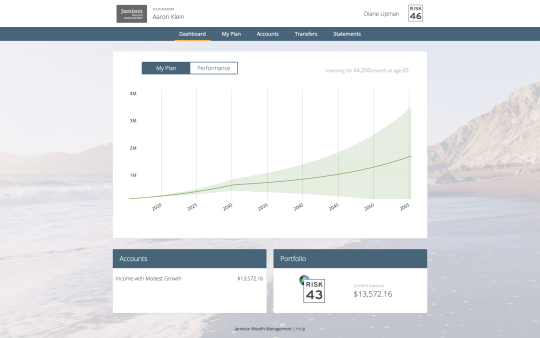 CLS Investments, LLC (“CLS”), a third party money manager and leading Exchange Traded Fund (“ETF”) strategist, and Riskalyze, the company that invented the Risk Number™, the first-ever quantitative way to pinpoint client risk tolerance, announced today that “Autopilot,” a pioneer automated asset management platform for financial advisors, has gone live. Amidst the “robo” noise, financial advisors are looking for a lower-cost solution that allows them to combine client self-service capabilities with a personalized service approach. The combination of CLS’s strengths in efficient and cost-effective asset management and Riskalyze’s unique Risk Number technology put a powerful capability in the arsenal of every financial advisor in the country. Autopilot is available exclusively to investment advisory firms. Investors/consumers see the advisor’s brand, and the advisor decides how much hands-on service to provide. The Autopilot team supports the advisory team, handling all of the manual work – trading, rebalancing, client service calls for account management, and more. CLS is an Omaha-based, registered investment advisor managing in excess of $6 billion. As one of the largest third party money managers and ETF strategists in the U.S., CLS partners with thousands of advisors, plan sponsors, and institutions to offer a full suite of outsourced portfolio management solutions for more than 35,000 individual investors. CLS specializes in creating portfolios based on a distinct risk budgeting methodology and active asset allocation approach. The CLS investment process is governed by systematic research across asset classes and strategies and the continuous measuring of risk. CLS claims compliance with the Global Investment Performance Standards (GIPS). CLS is a member of NorthStar Financial Services Group (NorthStar), which currently has more than $316 billion* in assets under management and administration. To learn more, visit www.clsinvest.com. Riskalyze is the company that invented the Risk Number™, the first-ever quantitative way to capture client risk tolerance, align portfolios to client expectations, and quantify the suitability of investments. Riskalyze was named one of the world’s ten most innovative companies in finance, and advisors use the platform to manage $90 billion in assets. To learn more, visitwww.riskalyze.com.